Know government better in order to better hold elected leaders accountable! REFRESH YOUR GOVERNMENT AND CIVICS KNOWLEDGE! The better you know how government works, the better you can hold your elected leaders accountable! Sign up for MomsRising's #KeepMarching Telephone Town Hall Meeting on government and civics now! After the Women’s March, women, mothers and others across the country vowed to #KeepMarching. And members like you are in fact still marching in many highly effective ways—by paying attention, speaking out and showing up, online AND on the ground! Thank you! From healthcare and education to gun safety and Supreme Court nominations, it's more important than ever that we hold our elected leaders accountable for their actions and votes. And the better we understand our role and our power in the operation and oversight of government -- CIVICS! -- the better we'll be able to do so by being able to identify opportunities to take action and when best to make our voices heard. That's why on Tuesday, March 21, at 9 PM EST/ 6 PM PST, MomsRising is holding a #KeepMarching Telephone Town Hall meeting on U.S. government and civics about how everything works. How does Congress interact with the White House, federal agencies and with the Supreme Court? 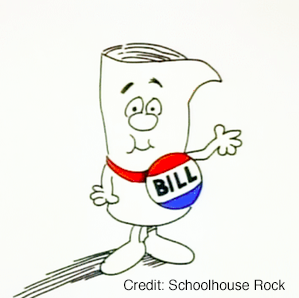 What are some of the less-understood legislative tools lawmakers use to shape policy, like budget reconciliation and congressional review acts? Most importantly, how YOU can make a high impact difference! *Sign up for March 21 to hear the exciting answers! This is how a telephone town hall meeting works: When you RSVP, you’ll tell us the best phone number where you can be reached. Then, we’ll call you at the scheduled time and plug you right in. You won't need to write down a phone number and dial in, you'll just pick up when you hear the phone ring at 9 PM EST!